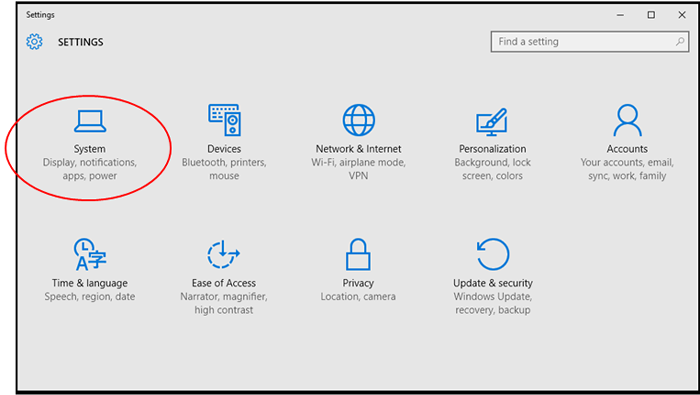 Click on the Windows 10 icon in the taskbar, located in the bottom left-hand corner of the screen. 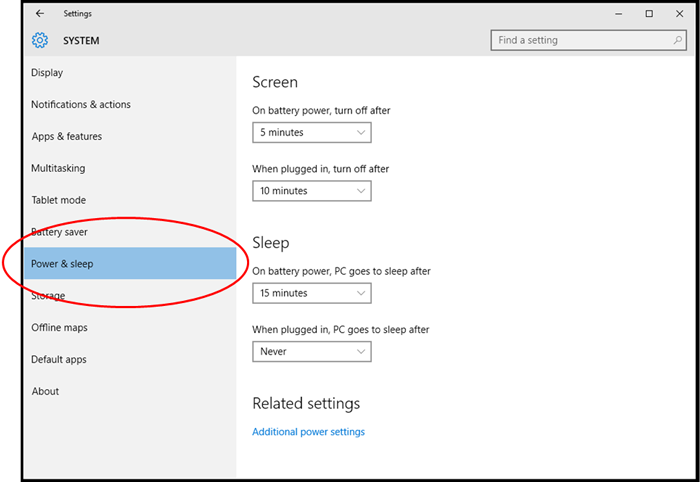 Then click on “Settings”, which can be found directly above the Windows 10 icon. 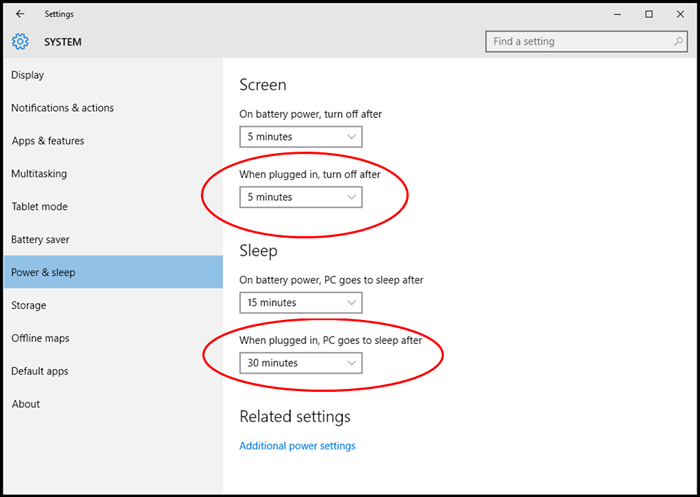 On notebook computers, be sure to change the settings for “When plugged in.” EPA recommends setting monitors to turn off after 5 to 20 minutes of inactivity, and computers to enter sleep after 15 to 60 minutes of inactivity. The lower the setting, the more energy you save.